Beach BOOSTER Radio Podcasts - A CHAT WITH OUR MAYOR with host Bill Frieday originally broadcast on Beach BOOSTER Radio Jan. 16, 2016. A CHAT WITH OUR MAYOR with host Bill Frieday originally broadcast on Beach BOOSTER Radio Jan. 16, 2016. 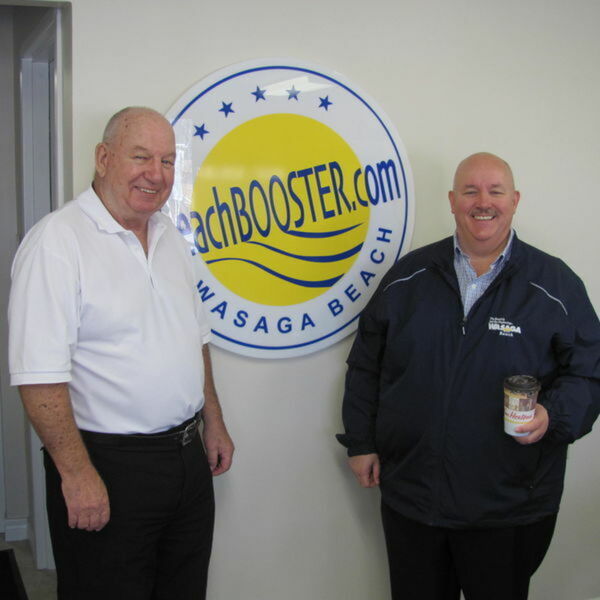 Description: To kick off the new year, Beach BOOSTER Radio is pleased to bring you this casual conversation with Mayor Brian Smith and Bill Frieday about what's new at Town Hall and the exciting things coming at us for 2016. The Beach is BACK! Don't miss this informative show! (approx. 37 mins of great discussion) Exclusive to Beach BOOSTER Radio. Wasaga Beach's truly LOCAL radio! To kick off the new year, Beach BOOSTER Radio is pleased to bring you this casual conversation with Mayor Brian Smith and Bill Frieday about what's new at Town Hall and the exciting things coming at us for 2016. The Beach is BACK! Don't miss this informative show! (approx. 37 mins of great discussion) Exclusive to Beach BOOSTER Radio. Wasaga Beach's truly LOCAL radio!